OnlineCollege.org provides prospective students with career path information, profiles of working professionals, and a searchable database of accredited programs offered by a range of higher education institutions. Many people are already familiar with some form of online education, but new advancements in technology are changing more than just how we learn. Blog writers for Online College recently posted an article about Web 3.0 and five new technologies that will change life as we know it. As Web 3.0 promises to be one of the most immersive, interactive experiences known to mankind, no longer are many of the fantastic ideas being touted by tech companies merely stuff of science fiction. Google, for example, has several experimental products that promise to lead the way for web-based technology this decade, such as augmented reality headsets and the driverless car. Others hope that new universal operating systems might help usher those of us with little to no internet or social media experience into the Web 3.0 era. Below is a list of several existing and upcoming examples of Web 3.0 technology to keep your eyes on in the months ahead. Google Driverless Car: Not since the days of Knight Rider on network television has there been this much excitement surrounding the prospect of owning a car that drives itself. For several years now, Google has been developing a product that utilizes GPS and Web 3.0 technology (such as Google Maps) to get you to your destination without placing so much as a hand on the steering wheel. The great news is that the project is coming closer and closer to fruition. Licenses for the driverless car were approved by the Nevada Department of Motor Vehicles in March 2012 and at least 300,000 miles have since been driven by Google’s Driverless Car without a single at-fault accident. Windows 8: Microsoft’s newest iteration of its classic PC operating system has definitely faced its fair share of criticism since its release in late 2012. One of the more interesting (and controversial) changes heralded in the release of Windows 8 is the revamped Start page, which acts as a centralized hub for a user’s social networks and apps. Less popular among seasoned techies, the new Windows Start page is a welcome addition for less tech-savvy users who merely want to access their computer or mobile device for monitoring their social networks, playing games and/or listening to music. Despite much of the noise one hears about Windows 8, one must applaud Microsoft for quickly jumping onto the Web 3.0 bandwagon by offering a robust operating system that can be used effectively across several disparate mobile and desktop-based devices. Siri: Moving forward, using your fingers to communicate via a tiny keyboard on your mobile device promises to be a thing of the past. Instead, voice recognition software is quickly rising to become one of the key components of future Web 3.0 technology. Since Apple integrated the much talked about Siri into its 5th generation of iOS on the iPhone 4S in 2011, tech companies have been scrambling to catch up to perfect their own similar product. Not only can Siri be used to effectively to vocally send text messages while on-the-go, but she can also answer questions, provide directions and information on local events, all without lifting a finger. Project Glass: In 2012, Google cofounder Sergey Brin captivated internet users everywhere with a first-person view of a skydive using the company’s much talked about augmented reality head-mounted display (HMD). At first look, Project Glass (also, Google Glass) looks like something taken directly from the science fiction genre, and may become one of the most groundbreaking Web 3.0 gadgets of this decade. By seeing how user-friendly (and stylish!) Google’s innovative eyewear can be, one can now easily imagine an entire city intersection filled with people wearing tech-infused glasses that can record video, play sound, and even overlay useful information about the objects, buildings and people that surround you. Facebook and Google+: There has been much debate lately about whether or not these two social media giants can survive the coming decade of Web 3.0. Not only will they survive, but social networking hubs such as these will serve as the base infrastructure for the internet of tomorrow. Even today, it is all but required for most of us to have a way to socially network with others via the internet and/or mobile technology. Seeing the opportunity of the lifetime, Facebook and Google have been actively inviting people from all over the world to bring their identities on-board and create the brand new pioneer societies of the Web 3.0 era. 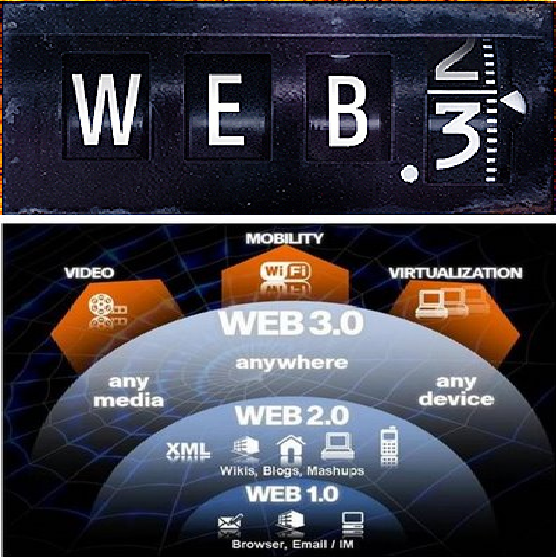 As the above technologies clearly show, Web 3.0 promises some very exciting changes in the near future. From driverless cars and augmented reality to voice recognition AI and virtual societies, the next decade is looking to be a fantastic one in the realm of internet and mobile technology. Tech sites such as The Verge and The Next Web are both fascinating and reputable resources for learning more about the latest developments in Web 3.0 technology. Don’t let another technological epoch pass you by again—staying up-to-date on the latest Web 3.0 news and events ensures that you’ll be ready to take on the future of web-based technology. Read more blog articles from OnlineCollege.org here. 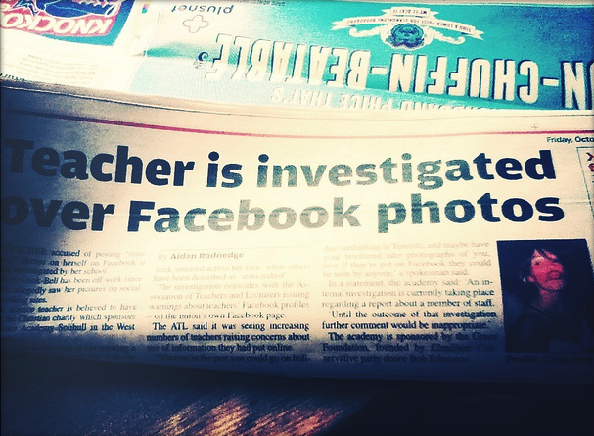 The title of this article may seem redundant. Chances are, your child has already integrated technology into their everyday life and uses many forms of technology in his or her education. But are they the right types of technology for the right kinds of things? Just because the Internet, computers, e-books, and tablets are available for students to learn from, doesn’t mean that learning is actually happening. Okay, another case of redundancy in disguise. Facts are already real, but simply memorizing information is very boring and less likely to stick in your child’s mind. 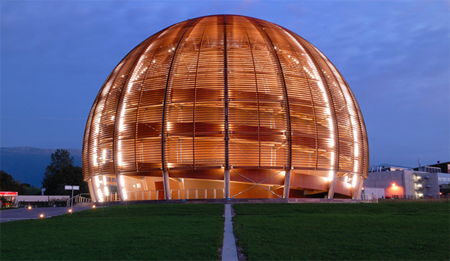 Making the facts real by using real world examples can demonstrate how subjects like math and science are important and exciting outside of the classroom. Fractions are a whole lot more interesting when used to bake chocolate chip cookies. Many classes use the fun soda and Mentos experiment. In order to determine if you can generate electricity from such a reaction, have your child use a convertible netbook and a downloaded application to test his/her hypothesis. Educator.com also has engaging, middle school lessons on Chemistry, which can help give background information on the chemical reactions at work in this experiment. That means allowing your child to experience different ways of interacting with technology. Multimodal interactions are a form of human-machine communication that uses multiple modes of input and output. Most laptops and tablets feature video recording, cameras, and styluses, which make learning more hands-on. Parents should encourage their child to be creative with these types of tools and promote a space where the child feels empowered by the device, rather than a passive consumer of information. This approach also can keep kids focused while making the lessons more interesting and fun. For example, read an article on reading thermometers and making weather predictions with your child. Then plan a trip to the park on a humid day and, using software integrated and available on convertible tablet netbooks, measure the temperature. When I was little, I had a very realistic, giant, blue and gray “lap top” computer that had a variety of educational games and even taught html. Granted it was a toy, I didn’t get a real laptop until college, but I remember how excited I was to get one for my tenth birthday. I felt grown up, special, and I felt like I owned something important. The lap top gave me the ability to access educational activities that were appropriate for my age any time I wanted. Giving students their own technology, real or pretend, opens up opportunities for kids to really take ownership of their own educations and to be a part of the process. My toy laptop took a serious beating throughout the years I owned it, so I suggest looking for ones that are made for children and/or offer some sort of waterproof case. Everyone learns at their own pace and in their own way. Some children need more structured assignments and projects, while others do best when their creative energy is set free. Technology allows parents to provide the right amount of individualized discipline and support, and to make changes when necessary. Educator.com offers many middle school and high school courses that allow students to learn at their own pace. Another example is McGraw-Hill’s LEAD21 reading program, which offers a personalized and interactive experience for various reading levels. The interesting thing about children is that when left on their own, they can independently explore, discover, and make learning more exciting for themselves. However, teaching them about Internet safety early will prepare them to make their own decisions about Internet usage in the future. It’s important to warn about predators, inappropriate material, and mature content, but hovering over them to ensure they are safe will only stifle them. That’s where parental controls come in handy. When considering different devices, look for built-in safety tools in computers that allow you approve of certain sites and content. The Internet can be an overwhelming place and young people do not always know what actions are considered unsafe. According to a recent survey on kids and Internet safety, 68% of teens have at some point accepted Facebook friend requests from people they didn’t know. This type of behavior opens the door to sharing personal information — like where they live and where they go to school— with complete strangers. Safety software allows your child to have the freedom to learn and explore, and for you to have peace of mind. 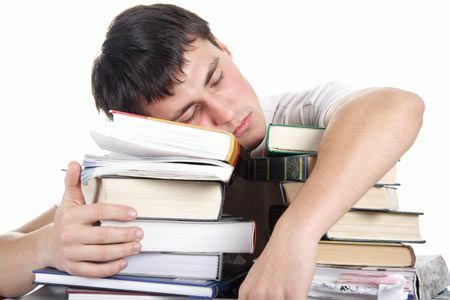 Stanford researchers find that the circadian rhythm which guides our daily routine from sleeping to waking might also be integral in learning retention. In an experiment with Siberian hamsters, researchers found that those hamsters with a disabled circadian rhythm did not recognize objects which they have previously encountered. Until now, no research has linked the circadian clock to learning and memory. The change appears to be tied to a neurotransmitter called GABA. Implications from this study can be used to further research with Down syndrome and Alzheimer’s—both diseases react to GABA and GABA antagonists. Some schools are giving away free Apple iPhones and internet-ready iPods to students. These universities could use these devices to send messages about classes, delays, crises, and even allow online research and instant polling in classes. And do not forget—hook a new generation of consumers to Apple products. Like Duke University in 2004 which gave away free iPods to its incoming freshman class to foster effective use of new technology in higher education, universities such as University of Maryland, Oklahoma Christian University, Abilene Christian, and Freed-Hardeman hope that the iPhones and iPods will change the classroom for the better. However, some professors are balking at the possibility of students becoming distracted in class with the internet-capable devices and not participating. 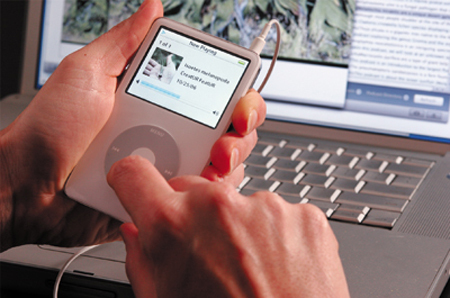 Duke’s program evolved into the Duke Digital Initiative (DDI) and modified its program in 2005 to give only iPods to students enrolled in classes that use the device to enhance classroom materials. Students began from merely recording lectures into creating their own content and turning the passive learning environment into an active one. With time, these new programs with even more sophisticated devices will likely evolve into something that truly changes education. 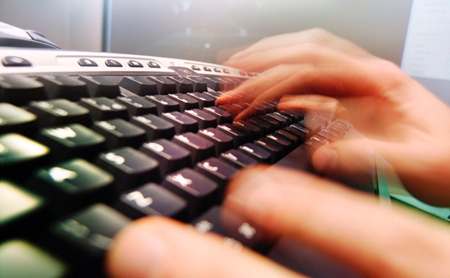 British researchers found that students sending and receiving instant messages while completing assignments take longer but still understand what they are reading. In controlled experiments, the researchers found that students im-ing took roughly 50 percent more time to complete reading assignments but still performed the same on tests checking comprehension. These results go against previously held notions that electronic media distractions negatively affect students’ performance. This study builds on the researchers’ previous study that found students who heavily used electronic media were more likely to become distracted while reading than avid book readers. The study will be presented in the 2008 annual meeting of the American Psychological Association. 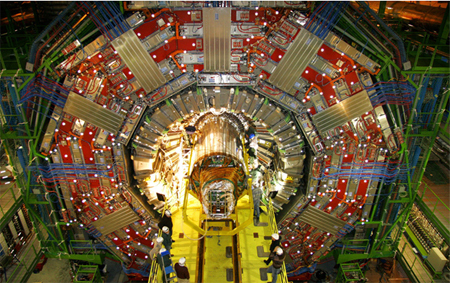 The activation of the Large Hadron Collider (LHC) at CERN should have already taken place by the time this article is published. Looks like the doomsayers were wrong that it would create a mini black hole that would consume the Earth. 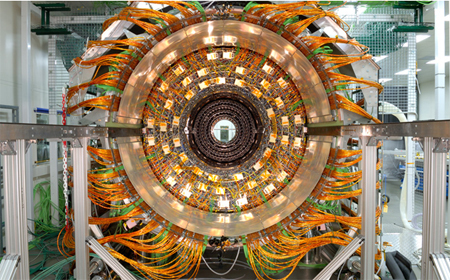 It took $8 billion dollars, 13 years, and thousands of people to build, but wow is it a beautiful machine—a machine that will use 14 trillion volts of electricity to smash particles and see what the universe is made of and how it works. Outraged at college textbooks costing hundreds of dollars? Now instead of illegally downloading MP3’s, some students are downloading scanned versions of the most popular textbooks. Examples include McMurry’s “Organic Chemistry” which retails for over $200 or the popular Stewart “Calculus” text; both are yours free at torrent download sites. The problem has been less prevalent than ripping MP3’s due to the manual labor involved in scanning thousands of pages of text, but torrent downloads of texts are way up. This trend comes at an uneasy time for publishers which are just starting to implement subscription models for textbooks. Will hybridizing paper textbooks with rental online ebooks save the textbook publishers?